Software stock images by Aurielaki. 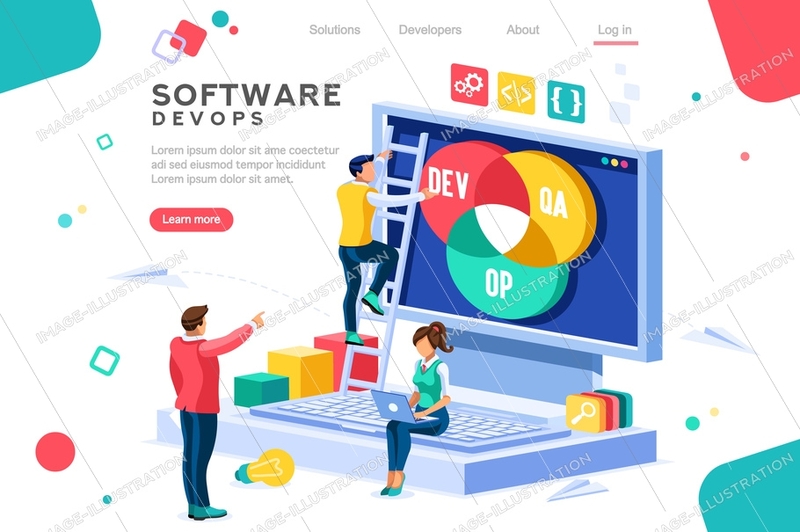 Concept DevOps illustrations in EPS10 EPS JPG AI SVG. SKU: Software-DevOps-Concept-AurielAki. Categories: Business Concept, Isometric Close Up View, New. Tags: account, administration, administrator, advertising, agile, architecture, background, banner, build, business, can, character, coder, coding, communication, computer, concept, developer, development, devops, engine, engineer, engineering, experience, flat, freelance, hero, homepage, images, infographic, isolated, isometric, monitoring, network, office, professional, programmer, programming, software, support, system, team, teamwork, technician, technology, test, user, web, white, work.